I love this time of year in AP Physics B. Students have a week of in-class time to work on their capstones. They have already submitted proposals and I’ve talked to students to make sure their capstone isn’t over ambitious for the time we have or is too simplistic. 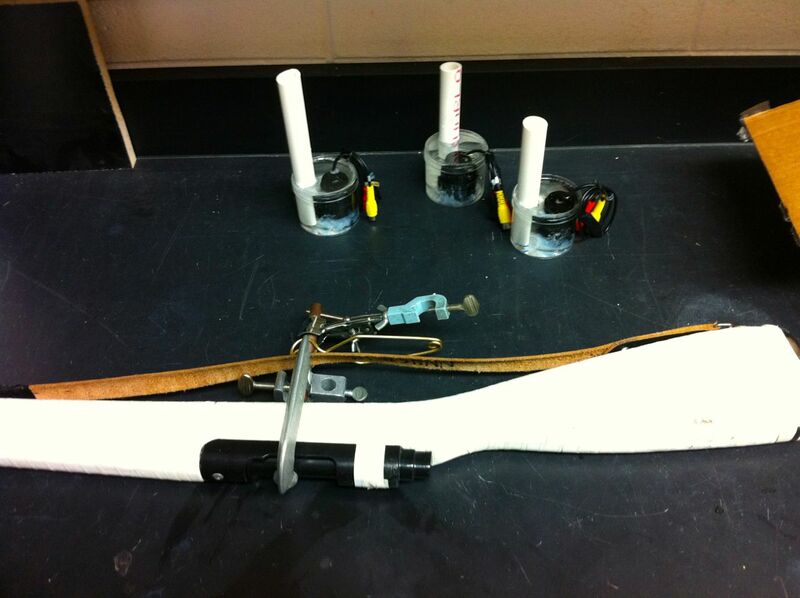 One student is analyzing the motion of a color guard rifle tossed in the air. He is currently trying to empirically determine the moment of inertia of the rifle. Any suggestions on how to do so? His current plan is to spin the rife on a lab stand and measure the impulse he imparts and the rotational velocity and then calculate the moment. What about measuring its period as a physical pendulum and using the parallel axis theorem? The student could do some research on physical pendulums and the parallel axis theorem. Cleaner data collection too, I think. Great ideas; I’ll share that with him and he can try it Monday!